December 2017 to 2018 From 20 January 5, at the Biblioteca Civica di Asiago, there will be a nice initiative, designed for reading enthusiasts of all ages. At the suggestion of Santa Claus, the librarians have chosen for young and old of books to take home and unwrap on Christmas day. Within the date indicated on the package the books will be returned to the library, to give other people a chance to read them. Upon delivery, after reading your "gift", readers will be able to write about the book of reading suggestions or opinions about it. An initiative that definitely is an invitation to readbut also to share. 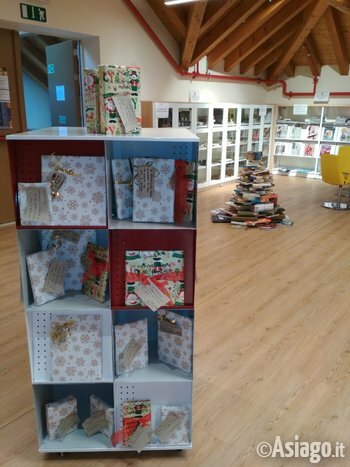 All you have to do is go to the library and choose your book unwrapped! Which book will be ... will be a surprise!